When people say where do you see yourself in 20 years ? Do you know the answer ? Have you thought about it ? I know my answer and i think about it often. In 20 years my daughter will be 24 and my son will be 21. That’s makes me 50 ! When asked or in thinking I have always said the same thing… I want to be living in a tiny tiny older people beach town and work at a Waffle House or Gas Station. I’ve always answered in a joking matter but in the back of my mind I ment it. I know I know your thinking when you 50 you want to work at at restaurant or a gas station are you insane. Maybe !! But when I’m that age I want my biggest problems to be is one of my plants dying? And planning weddings. And yes i still want to work and bring a smile to people’s faces daily i need that kind of routine and interaction in my life. But i want nothing more. No stressful job where you can never be good enough or the possibility of letting someone down. The day to day meeting the deadlines and going home at night thinking… oh my ! did I send that e-mail before I left. I want a safe amazing neat place for my kids to come and feel Un – connected. & Actually show them money is not happiness you can create a magical life being just happy not rich. Yes I know you have to have money to pay bills but what I mean is if you have enough to pay bills and eat and can still laugh and play at the end of the day that’s happiness. From the time I was 16-19 years old I had more money than I will ever see again. I was a spoiled daddy’s girl still am just with love now not money. I honestly thought the brand new Mercedes I was driving each year made me who I was. I know bless my heart it was a mess. It attracted all the wrong people and made me feel untouchable. Bad combination when your definitely not living right. All the money I had then never made me happy. So true story money does not and will never buy happiness. Money can buy fun not happiness don’t get them confused. With that being said now and then I feel my gypsy soul kicking in and I drift off to a sand weathered tiny house with an amazing place to keep my weird and funky plants and the perfect spot to indulge in a new book. And ridding a bike to work and getting caught in the rain. At heart I’m a gypsy… But taking a break to raise two beautiful kids the best way I feel is right & crossing my fingers that one day we will be searing for sea glass together. So please tell me where do you see yourself in 20 years ??? I want to search for sea glass too. Great question for a midlife mother!! In 20 years, I'm hoping to see me & the hubby retired at the beach close enough to our children to see our future grandkids. Thanks for sharing. Hmmm, in 20 years I will be 42, so hopefully I will have at least one kid and some debt paid off, and I hope my blogging/DIY career will kick off! :) Thanks for sharing at Talented Tuesday Link PArty! I'm right there with you. Life is too short to stress over working at what you don;t love. I've always said I will end where I started. In retail as a part time associate or a waitress. Popping over from Totally Terrific Tuesday =) Wow, this is a post I have to pin and bookmark. 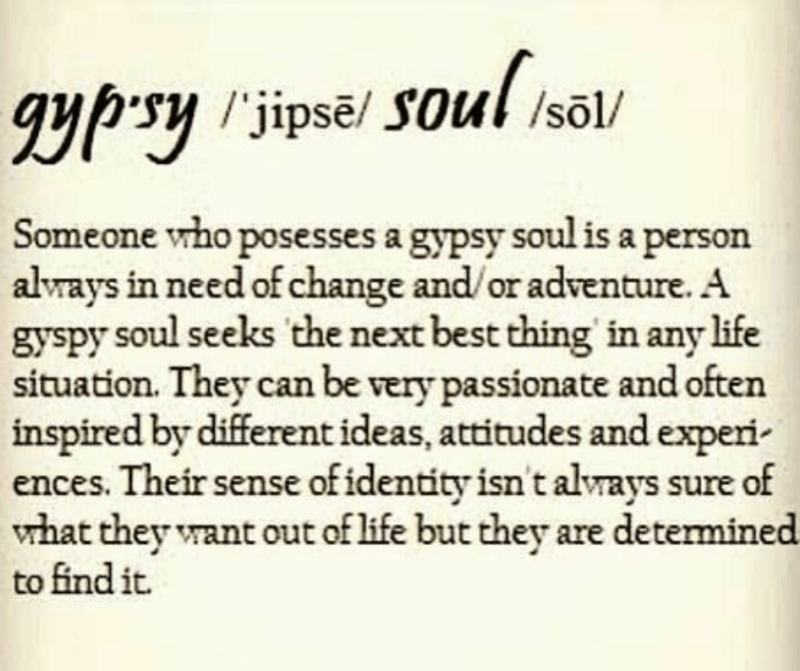 I may have a gypsy soul and just never knew it. I'm always looking for new and exciting. I just want to be happy and make others happy. Who knows where I will be in 20 years...? 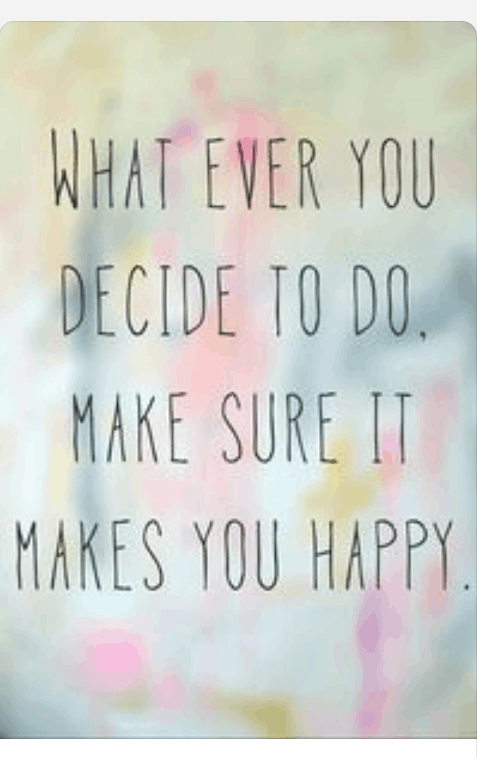 But I will be happy and with my favorite man =) Be sure to share your crafts & DIYs at Two Uses Tuesday over at Sarah Celebrates if you don't already! Hopefully retired! I'll be in my early 60's. OMG that's crazy to even think of that. I know 60 isn't old but to think I will be that age is hard to imagine! Thanks for linking up this week to Scraptastic Saturdays. In 20 years, I'll be in my mid-fifties. I'm not sure where I see myself, as I've never been much of a long-term dreamer. Then again, having only barely begun to settle into my new career as a stay-at-home-mom I'm not entirely sure what's down my road yet. It's such a less predictable career than I had before where going to work every day, coming home, deciding when or if I wanted to advance and where I wanted to work, were things that I'd 'dream' about. Now, enjoying each day (or just trying to make it through at times) is where I'm at. Hopefully in 20 years, I'll still be happy, fulfilled, my needs will be met, some of my wants will be had, and I'll be able to spend good quality time with my child(ren). :) Stopping over from Mommy Moments! I love it! So much truth! Hopefully, in 20 years I'll be living in a home my partner and I build out in the middle of nowhere, growing and raising enough food to sustain ourselves and living a slow-paced, simple lifestyle filled with love and laughter. I am so with you, at the end of the day, money is nothing! Thank you for sharing with us at #MommyMeetupMondays! This is a great question. 20 years from now, I will have a 28 year old, 22 year old and a 21 year old. YIKES. I will be 48. How I live now, I would imagine I would be the same. I just want to be happy. I know plenty of people say that, but I just want to be truly and genuinely happy. Thanks for linking this up last week to Totally Terrific Tuesdays! I just signed on as co-host and I'm excited to see what else you will share! Hope to see you next week! You're so right! I'm pinning this! Thanks so much for Linking Up at Craft Therapy Thursday at P.S. I Love You Scrapbooking. The new link party started today. I hope you will come join us! Oh to travel and be carefree!! My son will be of university age so it'll be interesting to see where I really am in 20 years time. Thanks for linking up at Mum-bo Monday! I'd love to have a pretty little home in the woods where I can retire, write and paint while soaking up the sunshine during the day. Also having time to photograph nature. Such a sweet post. Will be thinking about this. 20 years? Hmmm. Hope I am doing something that I love with someone that I love. Thought provoking. It is 20 years later. I would encourage all gypsy soles to live true to it and not "take a break" from it. Your children will benefit and learn much more during their developmental stages. Let them make a chioce to live the traditional lifestyle with the gypsy foundation. Awww thanks so much ! !